We partner with home care franchises and membership organization across the nation to not only provide their home office with the tools they need to manage their individual locations, but also to provide their franchises with a scheduling and management powerhouse that allows them to grow and provide better care – setting them apart from their competitors. We partner with home care franchises across the nation to not only provide their home office with the tools they need to manage their individual locations, but also to provide their franchises with a scheduling and management powerhouse that allows them to grow and provide better care – setting them apart from their competitors. “After years of looking for a great home care management software and testing multiple vendors, it became clear that AxisCare is our best solution for scheduling and point of care functionality on a continuing basis. Our franchisees will be able to spend less time on paperwork and more time improving their service offering and building their client base,” said Lane Kofoed, President and CEO. “AxisCare give our franchises a competitive advantage in the market. This is a win not only for our 100+ Assisting Hands agencies but for the clients they serve as well,” said Deanna Keppel, Director of Franchise Support Services. 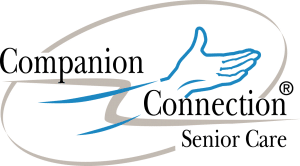 David Goodman, Founder and President of Companion Connection Senior Care. Marcus Ponce de Leon, Chief Operating Officer.